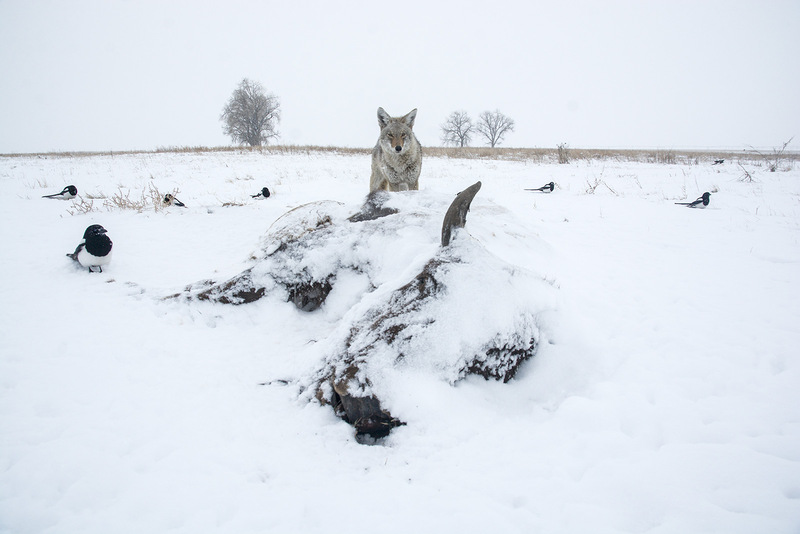 A coyote circled by magpies scavenges a bison carcass in winter. The carcass was visited by coyotes, magpies, bald eagles, starlings, ravens, and small rodents - that I know of. This image is part of a four month scavenger study, more images to come. Photo © copyright by Dave Showalter.